A man with a rare neurological condition which leaves him with extreme ‘shakiness’ in his legs has discovered how to remain in his two-storey home after becoming the first person to have a new state-of-the-art Stiltz Trio+ Homelift installed. Peter Kilburn, 62, from Whittlesey in Peterborough, suffers from Primary Orthostatic Tremor and is unable to stand or walk for any length of time. There are only thought to be about 50 people in the UK with the condition, which is otherwise known as OT. There is no cause and currently, no cure. “My mobility had become extremely limited because of my Primary Orthostatic Tremor,” admitted Mr. Kilburn. “It’s something I’ve had to accept and adapt my life to suit it. When I first wake up it’s too painful in the morning for me to even take a few steps. 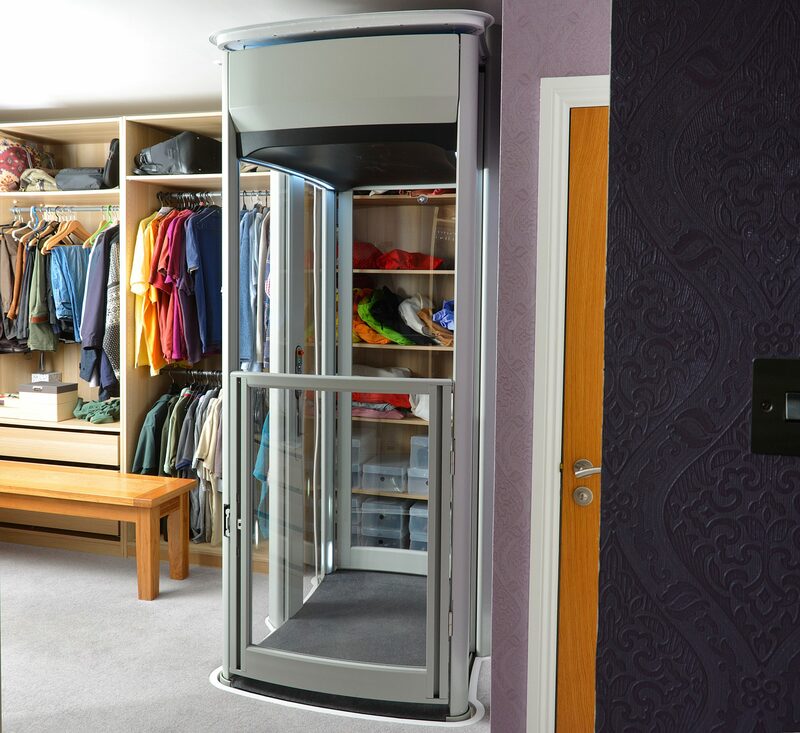 The couple looked at mobility aids but were really against buying a stairlift so instead, after some detailed online research they became the first customers in the UK to have the second generation Stiltz Trio+ Homelift. The attractive and ergonomic lift has a subtle, contemporary feel and looks like something out of a Star Trek movie. Now Mr. Kilburn can move from floor to floor independently and in style; and all at the touch of a button.